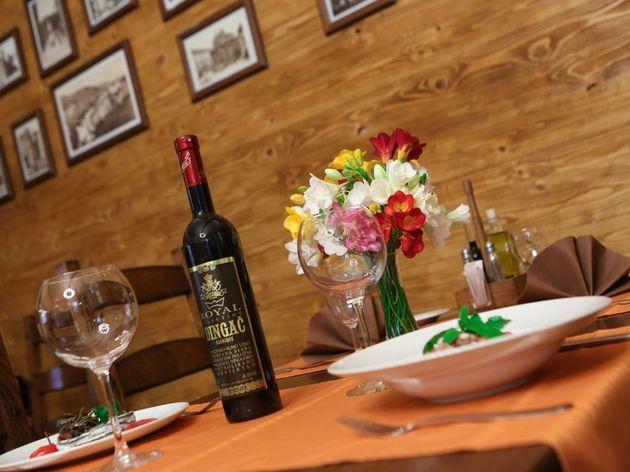 This superbly located newbie sits by the entrance of Buža II, and quickly went to number one on TripAdvisor in its very first season. 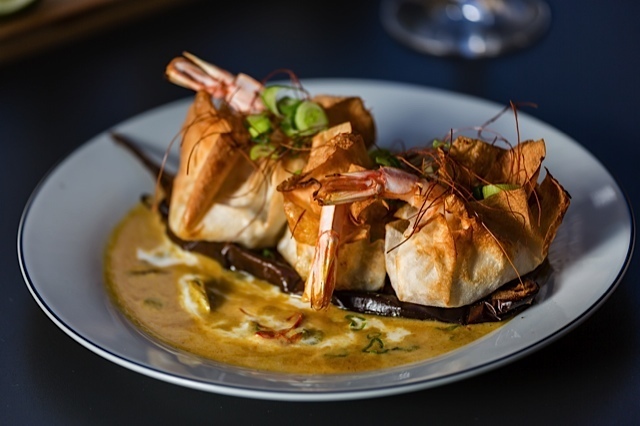 Here you can tuck into a reasonably priced, Med-and-Asian-influenced main here – fragrant meatballs in a chicken-coconut broth, perhaps, or Adriatic prawn pouches on grilled aubergine in a red-curry-and-coconut sauce – before an afternoon's sunbathing or nightcap overlooking the waves. Starters include mussels in beer butter and chili, and Dalmatian tom yum soup. 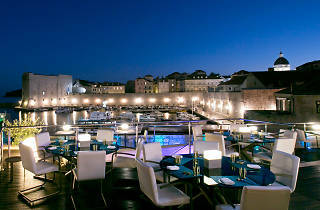 Dubrovnik’s most prestigious culinary spot offers two panoramic terraces of starched white-tablecloth formality. 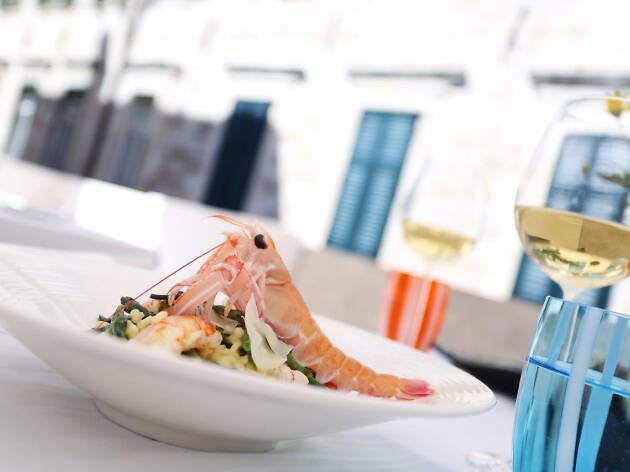 Chef Mario Bunda insists on fresh, locally-sourced ingredients – shellfish feature in dishes from the Elafiti isles such as Lopud brodet with polenta and Šipan fisherman’s carpaccio, or there are lobster medallions from Vis. Diners can also opt between three kinds of menu. 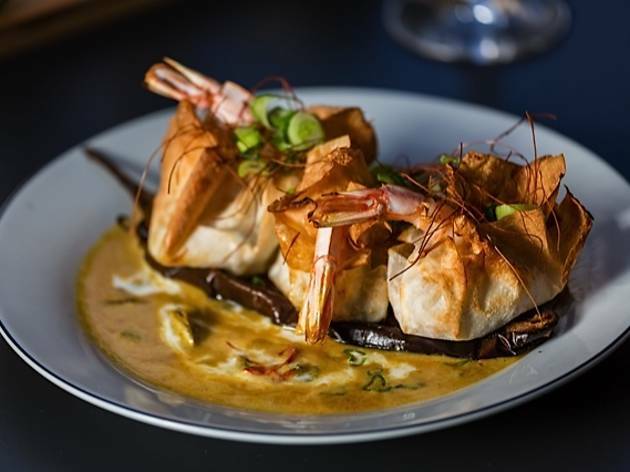 Amfora is an excellent choice for both meat and fish lovers, its cuisine drawing its inspiration from all of the areas of the Mediterranean while adding some Asian twists. Here you'll find a fusion of styles and influences, from Morocco to Lebanon, and all the way to the Adriatic coast. The menu changes twice a year. Currently it features a house-style traditional beef cheek "pašticada", cooked sous-vide for 48 hours. This sous-vide technique is also used for some fish dishes. 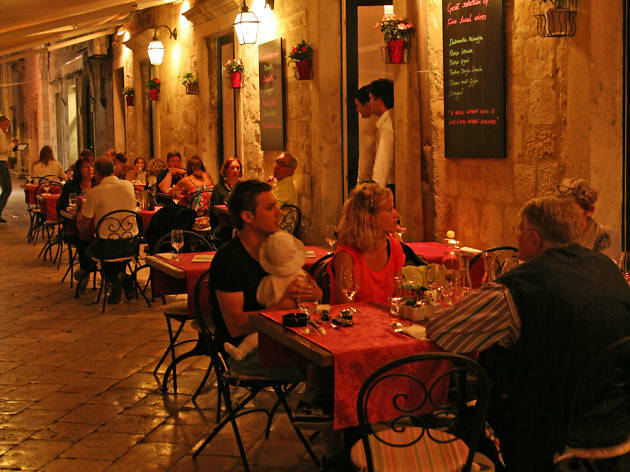 All of the restaurant's pastas, gnocchi and breads are prepared freshly in the kitchen. 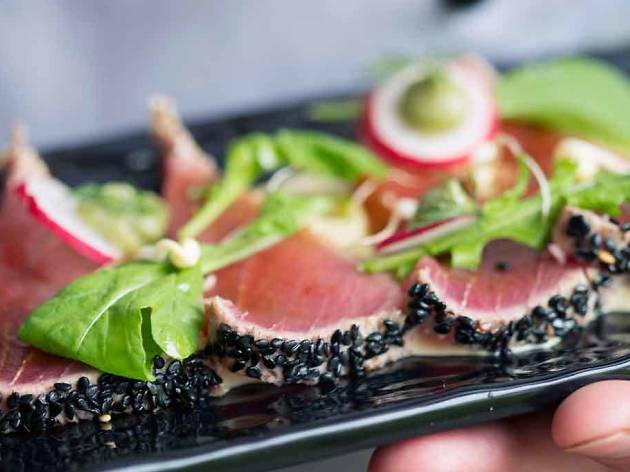 Fresh autochthonous ingredients are provided by the local produce market - the blue-fin tuna is line-caught. Meat is supplied from small farms located in the continental part of Croatia. 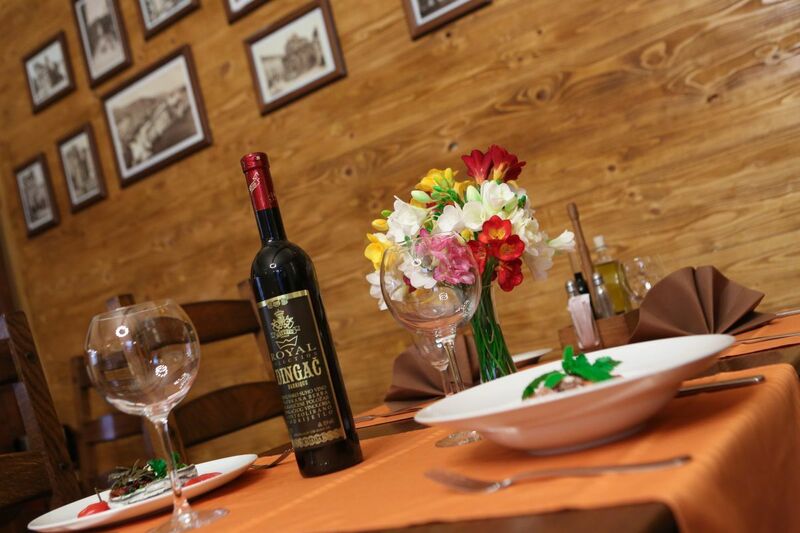 Premium specialities are made of black Slavonian pig and simmental beef. The wine list is long, and mainly local, while the olive oil is extra-virgin - note the bottle of Torkul from Korčula on every table. The modern interior can host up to 40 guests, while the outdoor seating provides a view of an orchard and 32 more seats. Reservations are recommended in high season, especially for groups of six or more. For traditional food, served with finesse, and with a reasonable price tag, Dalmatino takes some beating. It's located in an old house that has been renovated to show the original stonework at its exposed best. The menu is as straightforwardly Dalmatian as the name of the restaurant, featuring plenty of local fish and fowl, although a lot of creativity has gone into the details – grilled fish might be served with a colour-coordinated array of Mediterranean vegetables instead of the usual blitva. A lot of effort goes into the desserts – for some, it's the Dalmatino cheesecake that deserves the superlatives; others swear by the chocolate mousse. 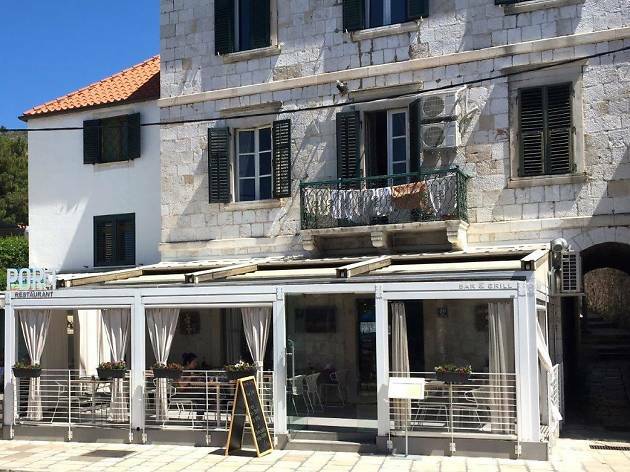 The place is run by a South African of Korčulan descent, so it's no surprise that the wine list veers enthusiastically towards the fine whites from that island. The seafood-oriented Proto claims a tradition dating back to 1886, and it was here that Edward VIII entertained Wallis Simpson in the 1930s. As well as squid and lobster in simple, superbly balanced sauces, there's fresh shellfish from Mali Ston up the coast. 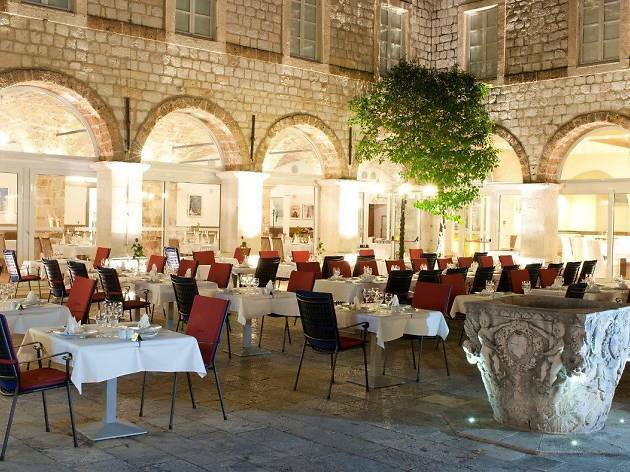 You can spend an enjoyable hour over the fish platter for two, and the extensive wine list covers just about every quality wine that Croatia has to offer - an award-winning sommelier is quick to offer up smart suggestions, pairing both domestic and international wines with meat and fish specialities. Recently refurbished and relaunched, Proto has been tastefully modernised, but keeps in with the antiquated elegance of the building. Beautiful old maps and antique oak panelling nod sympathetically to its past. The look is sealed with words of scribes: choice verses from local Dalmatian poets adorn the ceiling. Booking essential. Sitting on a terrace of the Ankora, eight kilometers west of Dubrovnik, you may get the impression that you are sitting on the deck of a boat. 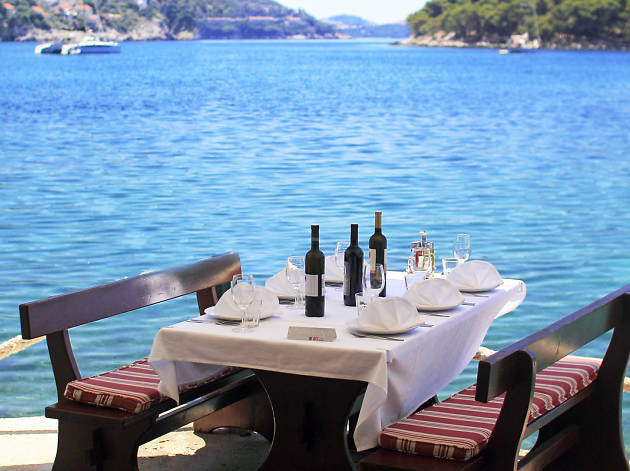 Not only is the sea within easy reach, all 80 seats by the water – an eastern wind brings fragrances of the Mediterranean herbs used to make home-made grappa, gladly served to you as you sit down. 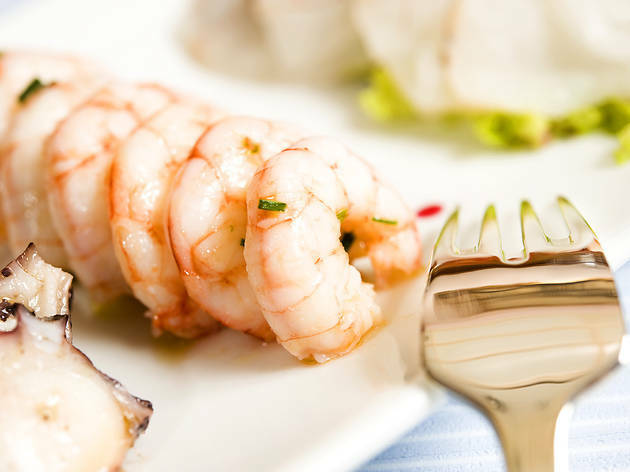 Since you are so close to the waves, it comes as no surprise that the menu is full of fresh fish, shellfish, scampi and lobster, prepared in the traditional Dalmatian way. A variation on this theme is seafood pasta and risotto. Reservations are recommended on balmy summer evenings. Porat makes the most of locally sourced flavours. 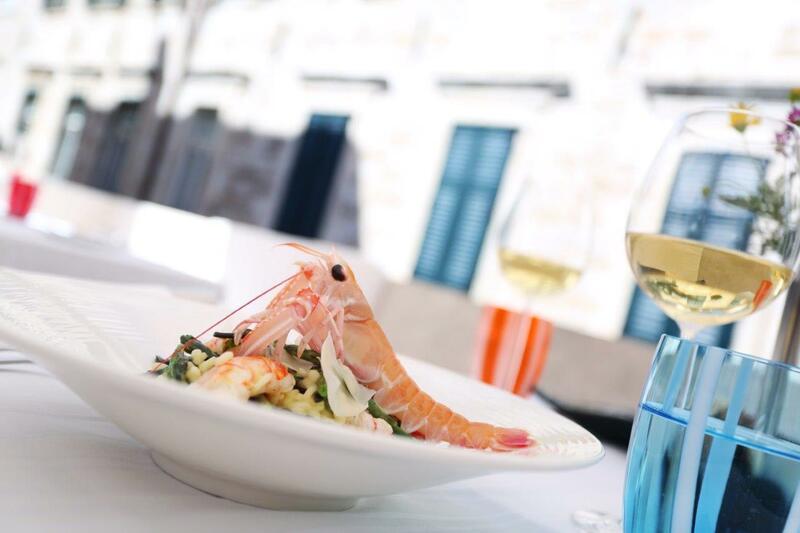 Located on the busy Gruž Harbour, fishing boats dock up to the restaurant each night with a fresh bounty of seafood grilled and prepared on your table within the hour. Local produce from the fisherman or the farmer’s market forms the central theme at Porat. Majoring in fish and seafood, there are few cracking meat dishes and a vegetarian set menu - the humble Brodet (fish stew) is mouth-wateringly good. Dishes are delivered quickly and served creatively by friendly staff. 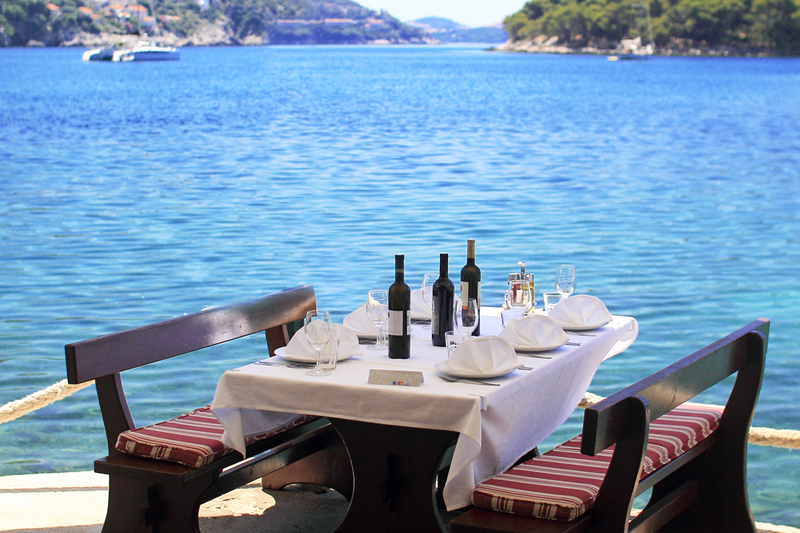 This is casual Adriatic dining at its best. The neutral interior is modern but not pretentiously so - making it a cosy and welcoming setting for a casual lunch or late-night fish supper. Set menus are fantastic value for money and go from as little as €20 per person. 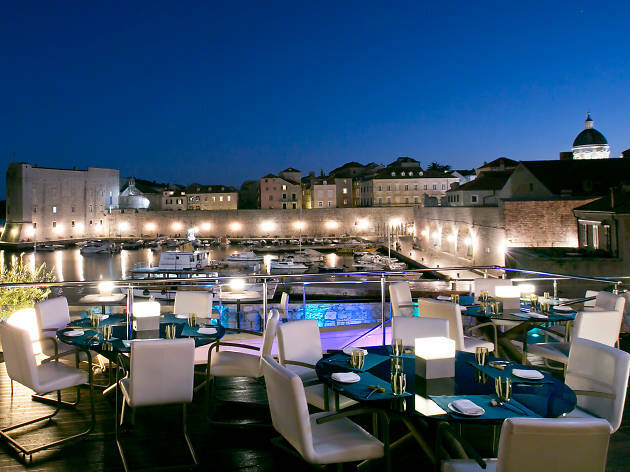 Set within the great walls of Dubrovnik with impressive views over the port, 360 effortlessly blends its historical setting with a progressive, forward-thinking menu. 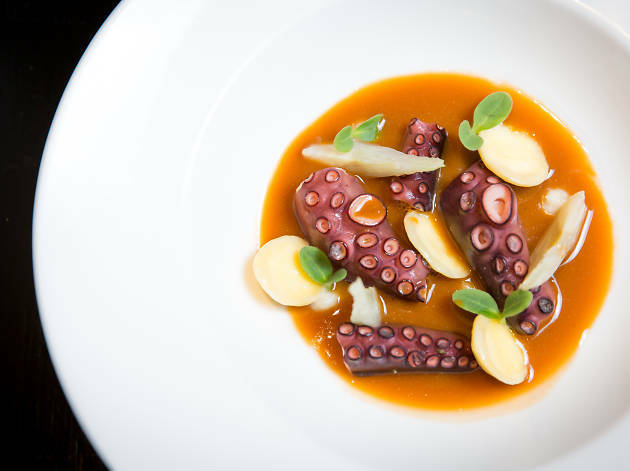 Head-chef Marijo Curić has created a fantastic array of Mediterranean-spanning dishes, where the emphasis is very much on well-sourced, well-presented food influenced by the Adriatic. 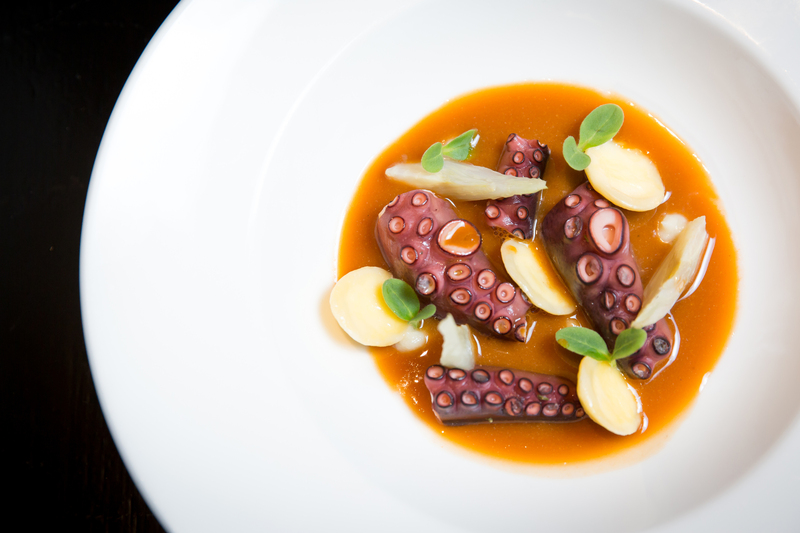 The menu changes constantly but 360 is particularly skilled with seafood, modern Mediterranean dishes and innovations of Croatian classics. This is upscale, sophisticated dining at its best. Without being too stuffy or formal, they pride themselves on providing a casual vibe where creative cuisine takes centre stage. 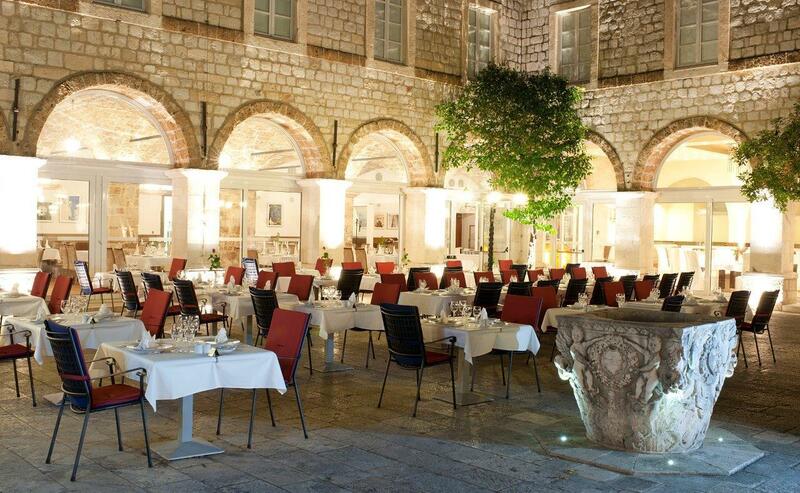 Matched by an extensive wine cellar, great service and a truly superlative location, 360 is the hottest table in town. 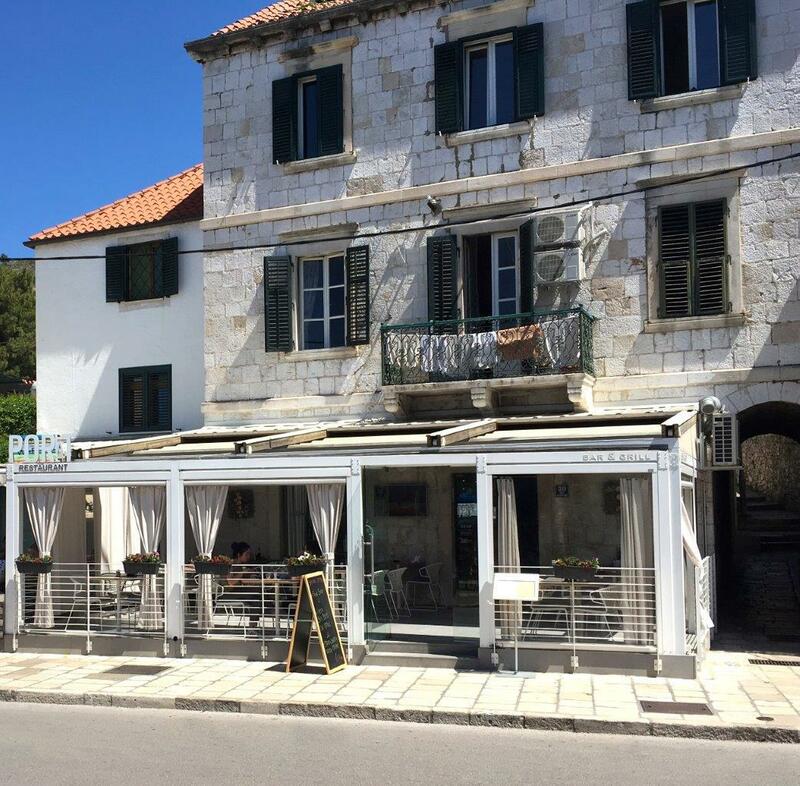 Near Great Onofrio's Fountain in the Old Town, well-travelled chef Stjepo Cvetković has a full range of fresh Adriatic fish, clams and crabs at his disposal, along with locally produced vegetables from just outside Dubrovnik in Konavle. 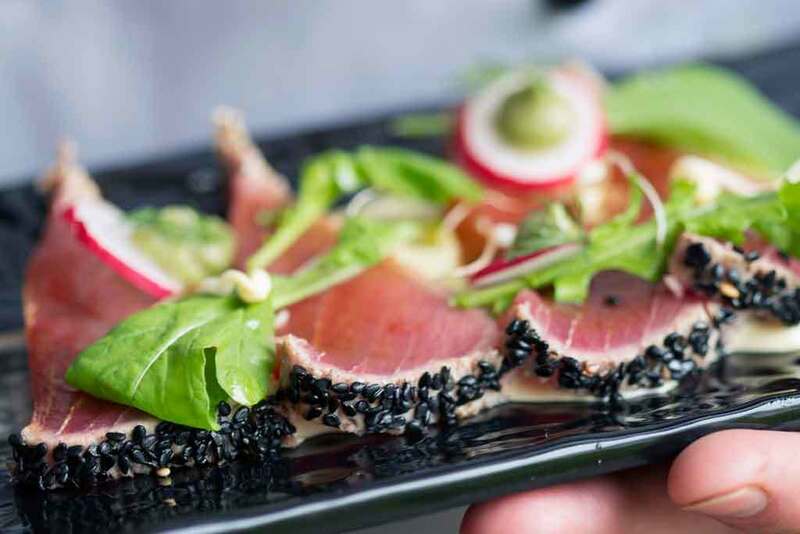 These succulent main dishes can be enjoyed on the courtyard terrace while those after something quicker can pop into the snack bar in the same complex. An offshoot of the Oliva pizzeria just across the alley, Zuzori aims to inject a touch of 21st-century pizazz into traditional Adriatic dining. The designer interior transforms a traditional stoneclad space into pop-art heaven, with a slate grey floor, white and pink chairs and unabashedly loud purple tablecloths. 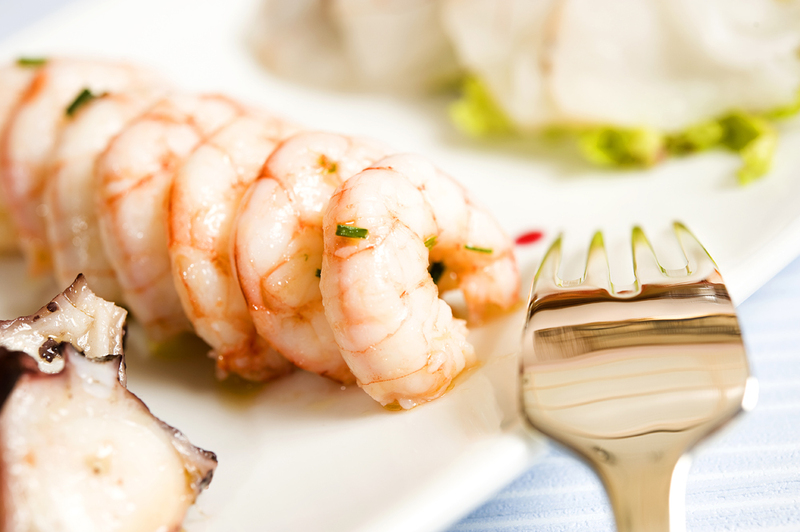 The menu sticks to what the locals do best, with shellfish starters and fillet-of-fish mains taking up most space in the menu. 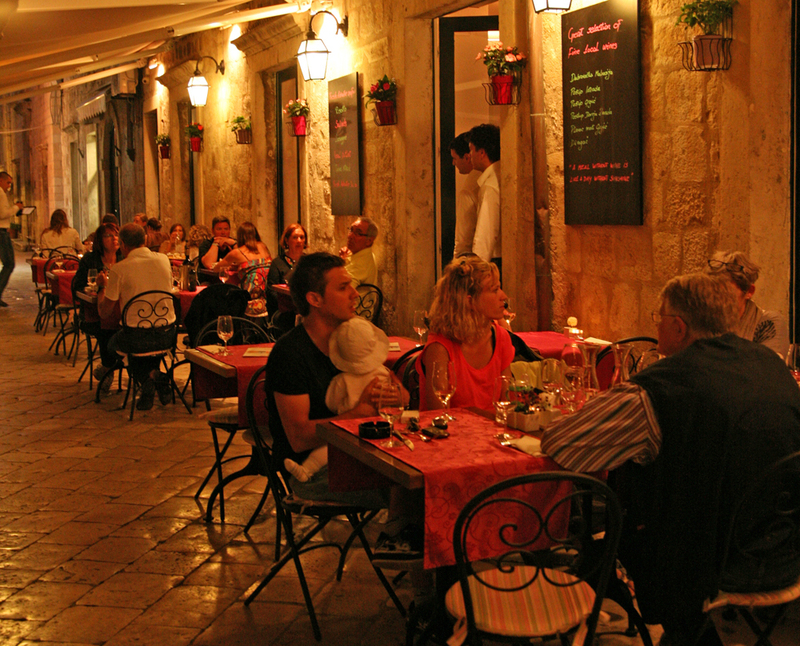 Look out in particular for traditional Dubrovnik staples that local grannies may still make but which have largely disappeared from restaurant menus: notably chick-pea soup (a light affair best treated as a starter; 30kn) and šporki makaruli (pasta tubes bathed in mixed-meat goulash; 80kn).